We have a range of events and activities. 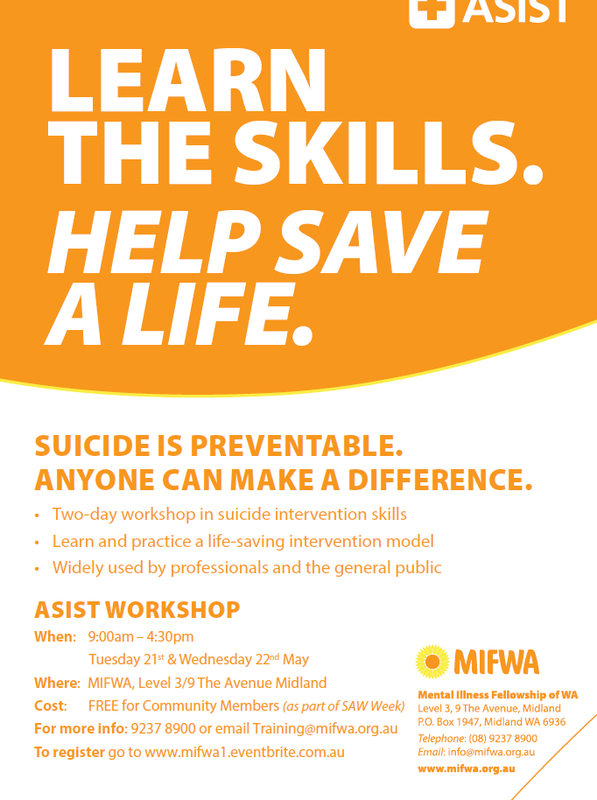 Find out what’s happening with MIFWA. Healthy simple cooking with confidence. 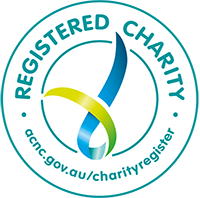 No direct cost for eligible participants: -Available to those with an NDIS plan. Wellways My Recovery is a 10 session education and support program for people experiencing mental health issues. 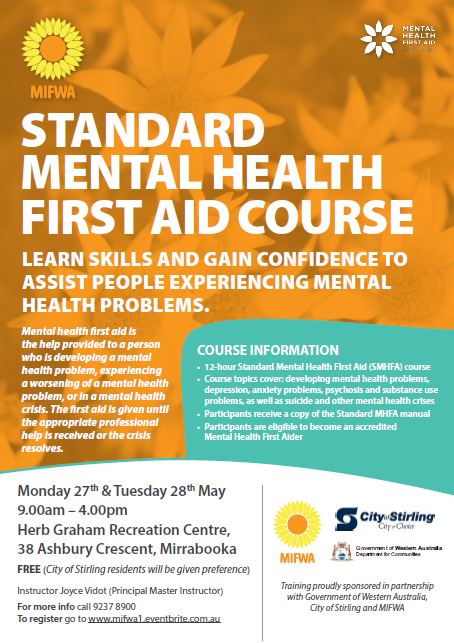 The program is led by peers - trained people who have their own lived experience of mental health issues and recovery. Learn the skills. Help save a life Suicide is preventable. Anyone can make a difference. Join us to open the week with a BBQ in the park and participate in a selection of health and hope giving activities like bocce, quoit, giant jenga and a walk for wellness (weather permitting) that we know make a difference in recovery. This is an informal opportunity to meet and connect with people who have a lived experience.